State prison officials in Virginia have reversed their recent decision to ban the very popular Books Behind Bars program run by the Quest Institute. The program was halted last month after officials said the security risks were too great and that the shipments of books made too much work for the already-busy corrections officers. 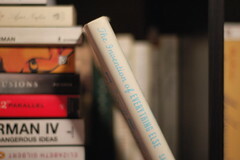 According to Books Behind Bars, volunteers missed a paperclip and a CD in one of the donated textbooks; the items were subsequently found by officers and did not make it to prisoners. State officials were concerned that someone trying to smuggle an item in to an inmate could use the program to do so. As a method of compromise, Corrections Department Director Gene Johnson will allow the program to resume, though inmates are now limited to three book requests a month. In return, the Quest Institute will take extra care to remove possible contraband material before sending to the prisoners. Dictionaries, Bibles and the Koran are the most popular requests, along with self-help books, novels and G.E.D. preparation workbooks.